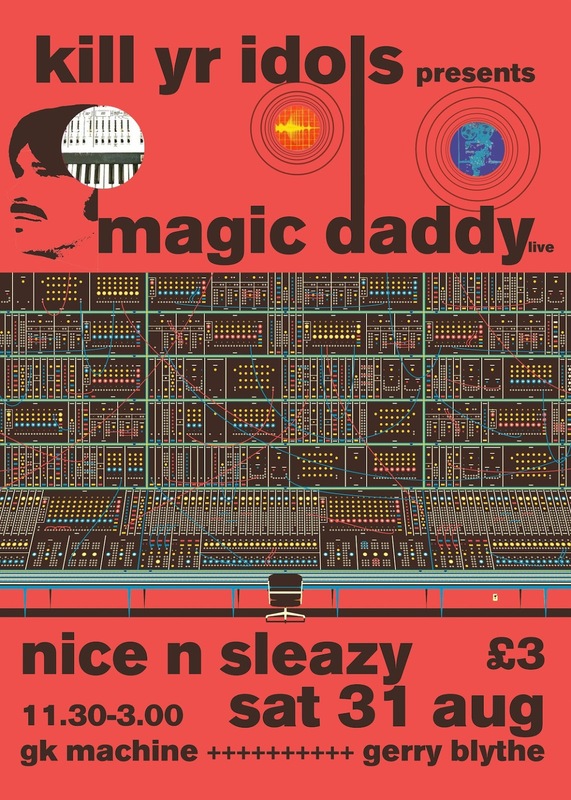 Stalwart of the Glasgow international underground electronic scene Magic Daddy has been pleasuring his "children" of the night on dancefloors around the city and beyond for longer than we can remember. Having released records on Optimo Singles Club & Related recordings as well as Stuff Records we're extremely pleased to have him do a live set in Nice n Sleazy's basement bunker. It will be loud. It will be lively. And you will dance! 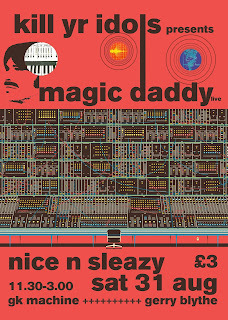 Also, this event will be marking the start of regular KYI events in Nice n Sleazy which we're very much looking forward to. Expect some great guests in months to come all suitably accompanied by the turbo-fuel-injected rock n roll electro voodoo grooves that residents GK Machine and G. Blythe supply in big doses.